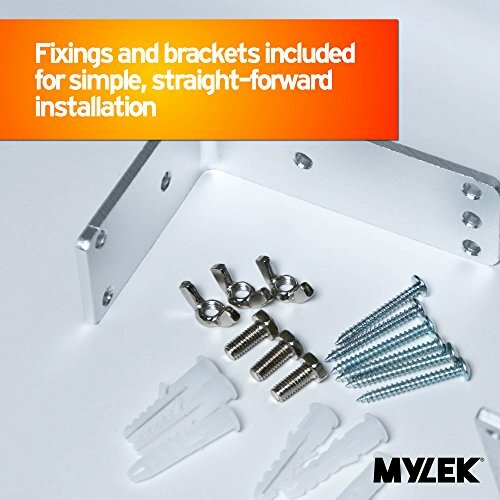 The MyLek 3kW wall mounted patio heater is a white-label patio heater. 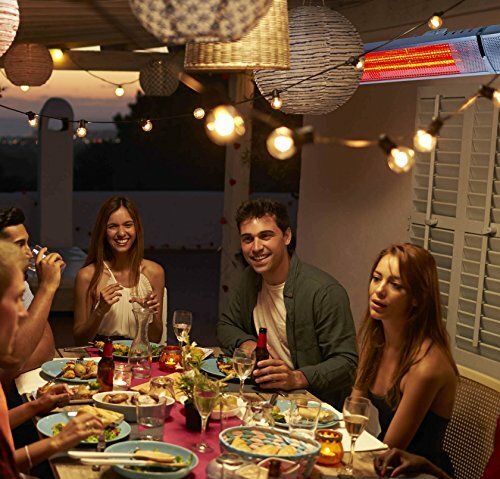 Slightly more powerful than the existing 2.5kW Futura Deluxe patio heater and the 2kW Mylek heater. With a heating area of up to 30sqm for under £100! This heater rivals the Veito range of patio heaters. With an outstanding heating range and multiple heat settings available. 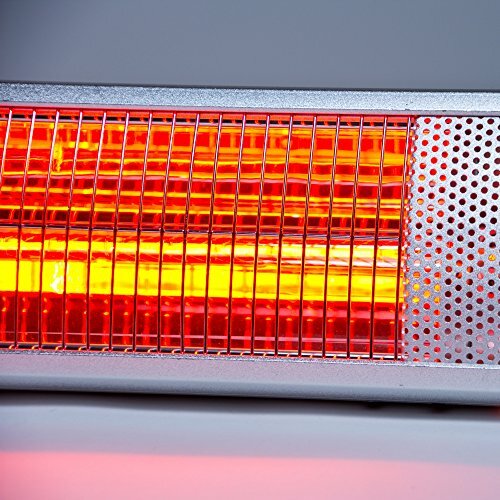 This heater would be great in any commercial setting. These heaters will cover up to 30sqm on full power. Great for open spaces and commercial application. 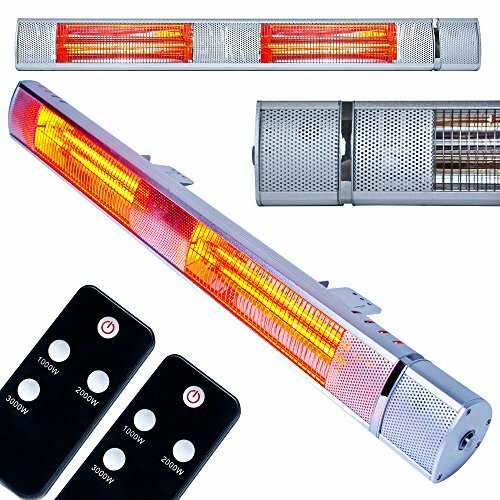 As standard these advanced golden infrared elements will last between 5,000 to 7,000 hours. 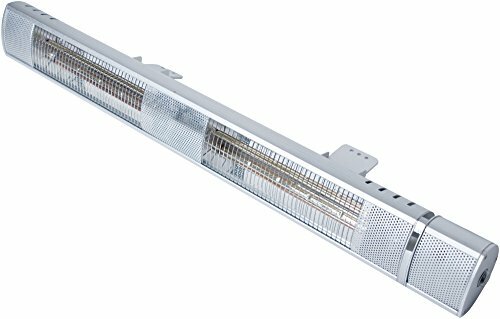 Offering excellent value for money and providing 20% more heat than standard infrared elements. This heater has 3 power settings, 1000W / 2000W / 3000W. Unfortunately, the power cord is only 1.42m long. So make sure there’s a power socket nearby. Twice as large as the 2kW version but with the same general design. 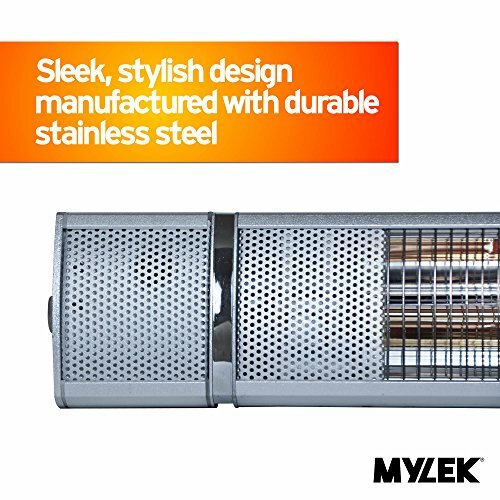 The stainless steel design offers rust resistance so you can leave the heater outdoors without fear of damage from the elements. Solid rating 6 – complete protection from dust and touch. Liquid rating 5 – this heater is protected from low powered water jets from all directions. This rating makes it suitable for installation in any location. Whether in a commercial location or as an alternative heater for the bathroom! A beast of a patio heater. Suitable for wall mounted indoors or outdoors. If you need a lot of heat coverage and don't want to pay a fortune for it, then this is the heater for you. We Can't Think of Any! This is an incredibly powerful heater. Suitable for home or commercial users. 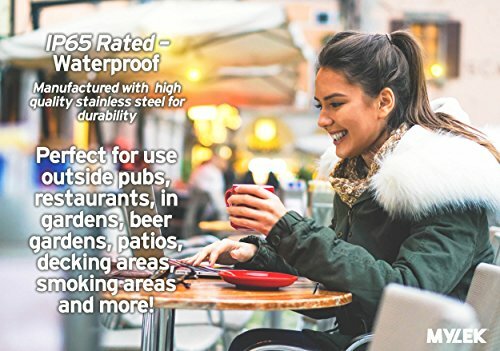 The advanced ingress protection rating makes it suitable for indoor or outdoor usage whatever the weather. If you’ve got a large area that needs heating and you don’t want to spend over £100 doing so, then this is the best heater available on the market for you!